I have a little treat for you guys. And it's more than just these incredible Hidden Greens Flourless Chocolate Protein Muffins! I want to introduce you to one of my dearest friends, blogging buddy, and all around incredible natural-living mama, Taesha Butler. Taesha shares veggie-loaded, family-friendly recipes + natural living tips over on her blog, The Natural Nurturer. One of the things I love most about Taesha's approach is her focus on veggie loading all the things. That's why I asked her to share a recipe from her new ebook, Veggie-Loaded Love with the Real Food Whole Life Community. I know you're going to want to make these dreamy, veggie-packed muffins and grab a copy of the ebook asap. Read on for the recipe, and more from Taesha in her own words! I think we can all agree that they are a pretty important part of healthy diet. However, they also seem to be the food group many people struggle with getting enough of. Whether it children with “selective” palettes, a partner that is a bit resistant to change, or maybe even our own frustration with finding veggie recipes that we enjoy…the veggie struggle is real in many, many households. In fact, it was a struggle in my own household. As a baby, my young daughter, Alice ate everything I gave her. But doing what so many children do, she eventually started resisting foods she used to gobble up…especially veggies. For a while I battled with her resistance. Each mealtime was a stand-off and no one left the table feeling good. And so I started to rethink my approach to serving my family veggies and started “veggie-loading” our meals. “Veggie-loading” means pretty much what it sounds like; loading up recipes and foods with all kinds of veggies to an effort to get more vegetables into your diet and life. While it may not be a term found in the dictionary (yet), it is a common term and approach over on my blog, The Natural Nurturer. It has been a game changing approach in my house and many of my followers share that veggie-loaded recipes have helped their families eat and enjoy vegetables in so many unexpected ways! To some, veggie-loading might look like hiding vegetables. But to me, veggie-loading is not about tricking a person, but rater giving them a creative stepping stone for helping him/her to eat a vegetable that they would normally not get into their diet at all. We all have preferences for taste and texture. Foods that we love. Foods that we don’t. Veggie-loading recipes are a tool to offer up vegetables in different ways and can help your family to not only eat veggies, but enjoy them! And hopefully make veggies at most meals a lifelong healthy habit. This was my “why” behind creating my ebook Veggie-Loaded Love. That’s where you can find the recipe for some of my favorite veggie-loaded recipes! Some hidden, some right out in the open. But all delicious and oh-so healthy! To give you a sneak peek into what you might find in Veggie-Loaded Love, I’m sharing one of the most popular recipes contained in it’s pages, Flourless Chocolate Protein Muffins (with hidden greens!). Loaded with protein, healthy fat and amazing greens, these muffins are going to be a delicious game changer when it comes to serving veggies at breakfast….or snack….or lunch…or whenever you please! Read on for the amazing recipe! Preheat your oven to 350F and line a 12-hole muffin tin. Combine all ingredients in your food processor. Run until smooth. Scrape down the sides of the food processor if needed and run to ensure that all ingredients are incorporated. Using a 1/4 measuring cup, portion out the batter between the 12 lined muffin tin holes. Bake for 15-18 minutes or until a toothpick inserted in the middle of the muffin comes out clean and the top of the muffins is slightly golden brown. *Sometimes people with nut allergies are also allergic to sesame seeds (the base for tahini). If serving to an individual with a nut allergy, please check that they are also not allergic to sesame seeds before using that substitution. Taesha Butler is the blogger behind the site, The Natural Nurturer. A full-time teacher and mother, she has a passion for healthy and simple living. 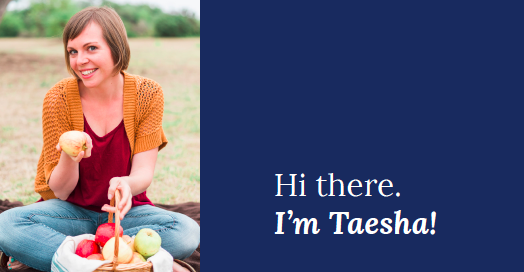 Through her family-friendly real food recipes, clean living tips, and natural parenting ideas, Taesha aims to empower parents and caregivers to raise their families in healthy way that fits into their busy lives.